Bogie’s map elements pack is incredibly large with 729 assets. 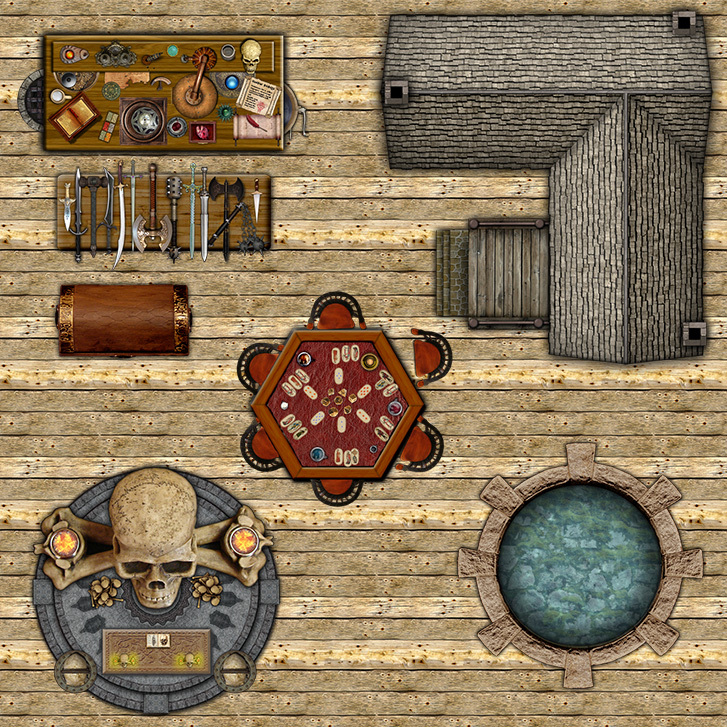 Everything is organized in folders inside, and you can find items such as barrels, boats, books, bridges, chairs, tables, doors, chests, food, fountains, light sources, rugs, stairs, statues, tiles and lots more! He has also taken the time to create presets ready to include in your maps. You can see some examples to the left, at the tables full of weapons or alchemy elements. I’d recommend visiting his deviantART gallery for more elements and ready-made maps for you to use.